When it comes to our hair, there are two kinds of people, the “whatever’s on sale” buyer and the investor. So, does spending a little more on your hair products really make a difference? Why Do Cheap Hair Products Get A Bad Reputation? Cheaper shampoos will often have a thick foamy lather which can be mistaken for a cleaner wash but in actuality is the result of harmful detergents and surfactants which strip away your hairs natural oils. Additionally, cheaper conditioners often contain silicones which coat your hair making it appear silky and soft, but over time compromise the integrity of your hair leading to breakage. The fact is, the financial savings involved in using supermarket products pale in comparison to the benefits of using high-quality products. The simple fact is, being cheaper these products are manufactured with cheap ingredients that can harm your hair more than it’ll help it. When it comes to finding the right hair products for your hair, really you want to be looking at the ingredients. What to avoid and what’s going to give you the best result. Instead, look for products that contain more natural ingredients to nourish and protect your hair and/or colour. It’s important to keep in mind that without heavy sulphates, shampoos won’t have the same lather but that doesn’t mean it’s not working. In fact, in the long run, you might notice your hair feeling cleaner, less oily and more manageable between washes. How To Correctly Wash Your Hair? So, you’ve found that quality shampoo and conditioner to nourish your hair, now how do you wash it to get the most out of these products? The first thing to remember is that hot water can damage your hair, so keep your water temperature on the cooler side. Once you’ve dampened your hair, in the palm of your hand add some shampoo, making sure it’s no more than the size of a 20 cent piece. Work this shampoo into your roots only, avoiding the ends of your hair. Be sure to really massage into your scalp, imagine you’re at a salon. After about a minute, rinse the shampoo from your hair thoroughly, again with cool water and gently squeeze the excess water from your hair. Now onto conditioner, the amount required will depend on your hair length and thickness, but the application is the same. Smooth the conditioner over the lengths of your hair, avoiding the roots completely. Allow this to sit in your hair for a few minutes before rinsing will cool water again. 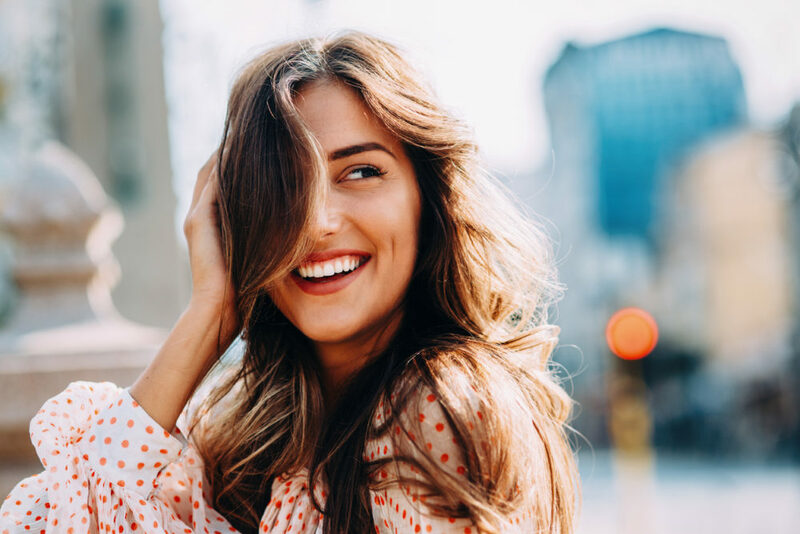 Following this kind of routine with products that count will see your hair stronger and healthier than ever before with less breakage over time. Want Great Hair For Your Next Event, Occasion Or Just Because? Blown Lux truly is Sydney’s luxury styling destination. Discover the feeling of lux bouncy hair and the confidence it brings to your everyday. Topped off with some creative cocktails and cheese? It’s an experience like no other. Contact us for more information or to book your Blown Lux pamper session.